Born in the North East of England, Miranda gained a scholarship to study at the Royal Academy of Music with Howard Davis. Piano trio master classes at the Banff Centre of Fine Arts, Canada, led to two years of tuition at Indiana University where her solo studies with Franco Gulli were complemented by coaching for her scholarship quartet. Miranda lives in London and her solo, chamber, orchestral and educational commitments take her worldwide. 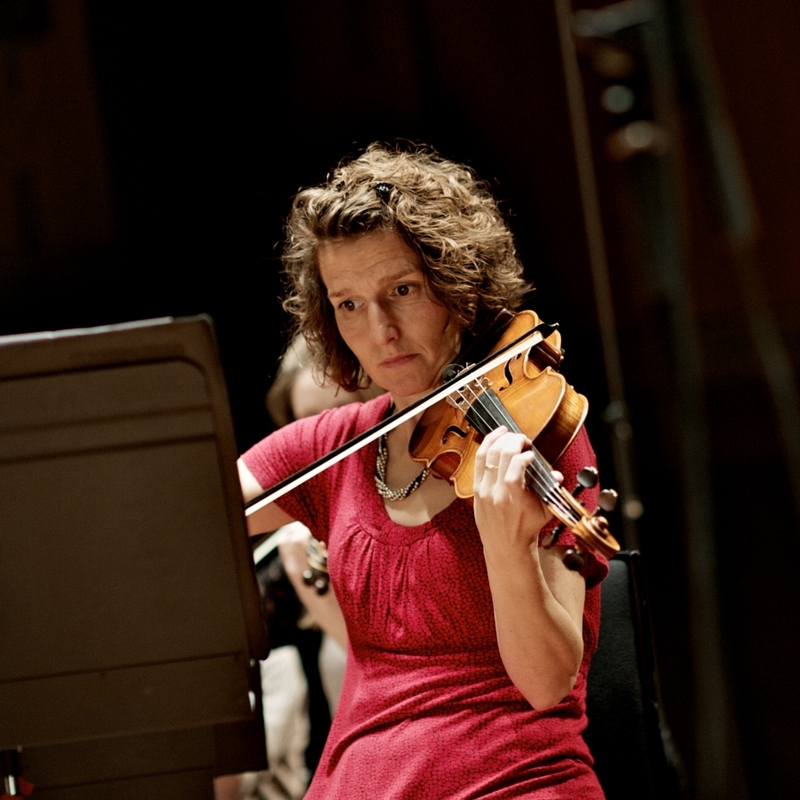 She is Principal Second Violin and plays as soloist with Britten Sinfonia and is also in demand as Guest Principal with orchestras such as the Philharmonia ,English National Opera, English Chamber Orchestra and the CBSO. Miranda is frequently invited to the Royal Academy of Music to take sectional rehearsals, performance classes, adjudicate Prizes and act as an external examiner. She is grateful to the RAM for making her an Associate in recognition of her contribution to the music profession.